Michael Pollan, author of “In Defense of Food” and “The Omnivores Dilemma”, called lambs quarters and purslane “two of the most nutritious plants in the world.” Weeding them would be a waste, both taste and health-wise! Also called pigweed, goosefoot and wild spinach, lambs quarters is a common garden weed and is found with easy access in most urban settings. Sporting broad, green leaves and a powdery-white middle, lambs quarters can substitute as spinach in any dish, and is packed with nutrients too! While most edible weeds are best harvested in spring, lambs quarters thrive throughout the entirety of summer. 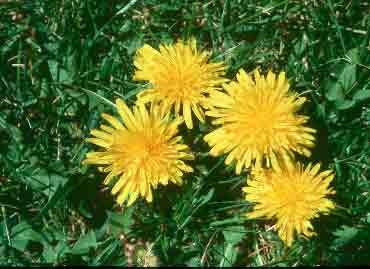 While young, the plant can be collected whole, but as it ages and becomes tougher, only the tender tops are recommended. Try it raw in salads or green smoothies. Seeds can be collected as an excellent source of protein. 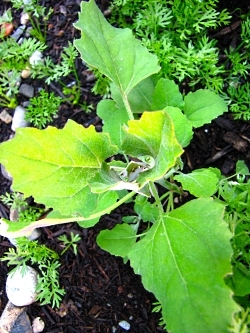 Nutritionally, lambs quarters is a close competitor with spinach. 1 cup of boiled and lightly salted lambs quarters has a whopping 6g of protein, more than double your daily value of Vitamin A, 66 mg Vitamin C and 120 mg Iron. Another common weed found growing between sidewalk cracks or in our gardens is purslane. 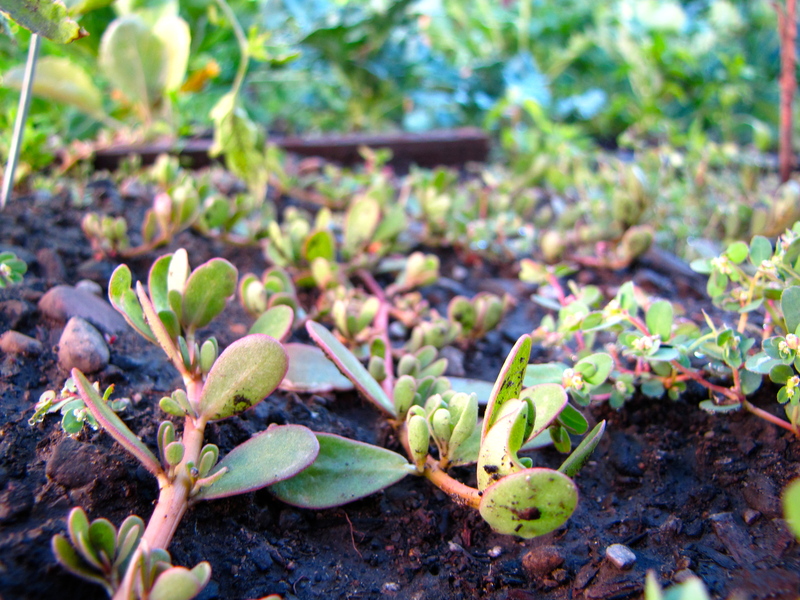 Purslane is a succulent originally from India, but is now found as a wild weed in all 50 U.S. states. This plant grows low to the ground, contains slightly reddish stems and sports tangy succulent green leaves with a similar quality as okra. The leaves, stems, and flowers of purslane can all be eaten either fresh or cooked. The health benefits rival many other green vegetables you work hard to plant and maintain in your garden, yet it grows effortlessly! The fresh succulent leaves of this wonder weed contain more omega-3 fatty acids than any other leafy vegetable plant, and has five times the concentration than can be found in spinach! It also contains more omega-3’s than many fish oils in the grocery store. In a 100 gram serving of raw Purslane, you can get more than 1320 international units of Vitamin A, 21 mg Vitamin C, and a dense array of B-complex vitamins! 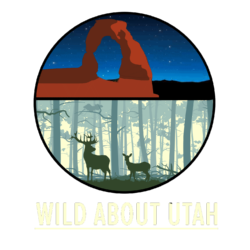 If you have explored the mountains of Utah, you’ve inevitably heard the iconic high-pitched chirp associated with Utah’s Yellow-Bellied Marmot. Sporting chubby cheeks, large front teeth, a reddish-brown tail that spins like a helicopter rotor when fleeing, a greyish-brown back, white patch of fur between the eyes, and a yellow-orange belly, these sun-loving, flower-chewing mammals exude a Buddhist-type nature, especially when compared to their frantic neighbors, the pika. Yellow-bellied marmots belong to the mammalian order Rodentia, in the squirrel family Scirudae. This family includes all species of prairie dog, chipmunk, and the woodchuck. Marmots fall under the genus “marmota.” The scientific name of yellow-bellied marmots is “Marmota flaviventris.” Although the origin of the term marmota is not certain, one accepted interpretation stems from a similar Latin word meaning “mountain mouse.” Flaviventris means “yellow belly” in Latin. There are 15 species of marmot worldwide, all in the northern hemisphere. 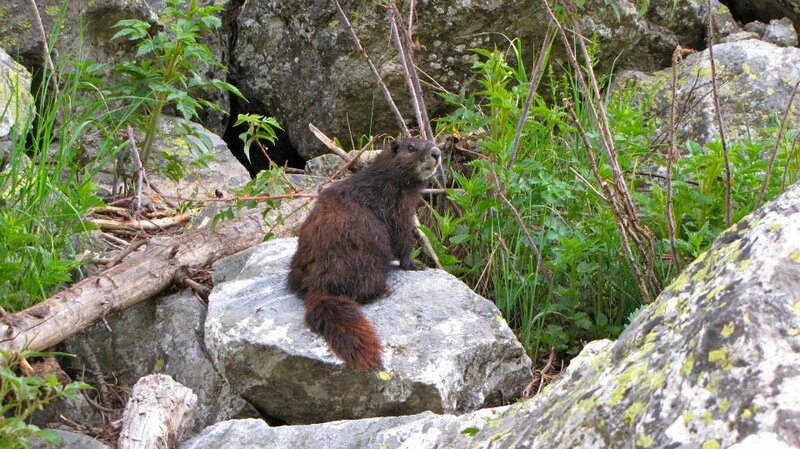 Most live in mountainous areas such as the Alpine marmot found only in Europe, though some live in rough grasslands. Although commonly believed to be in the same genus, the prairie dog is not classified in the genus Marmota, but in the related genus Cynomys. Yellow-bellied marmots live at average elevations of 6,000-13,000 feet throughout western North America. They are often found in highland meadows and steppes, and almost always near rocks. 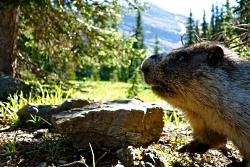 Burrows are usually constructed in areas with plentiful plants which comprise the marmot’s main diet: herbaceous grasses and forbs, flowers, legumes, grains, fruits, and insects. Marmots spend the summer months sunning on warm rocks and fattening up in preparation for winter hibernation which can last up to 8 months.Thus, they are especially plump in the fall, right before hibernation, and reach weights of around 8-11 pounds. They may also estivate in June in response to dry conditions and a lack of green vegetation, only to reappear later in the summer when food is once again plentiful. 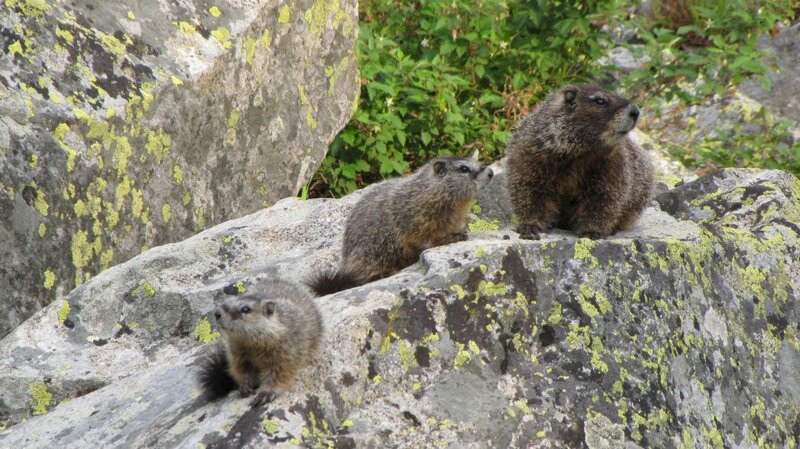 The typical social structure of yellow-bellied marmots includes a single male with a range of one up to four females. Males are territorial and aggressively protect their harem from other male marmots and smaller predators such as the ermine. Other predators to the yellow-bellied marmot include coyotes, foxes, badgers, bears, and eagles. Females raise their annual offspring of 3-8 jointly with other females within the harem. Baby marmots or pups are born relatively undeveloped and require large amounts of care until they emerge from the nest three weeks later. Only about half of marmot pups survive and become yearlings. If they make it through the first year, marmots may live up to 15 years of age. 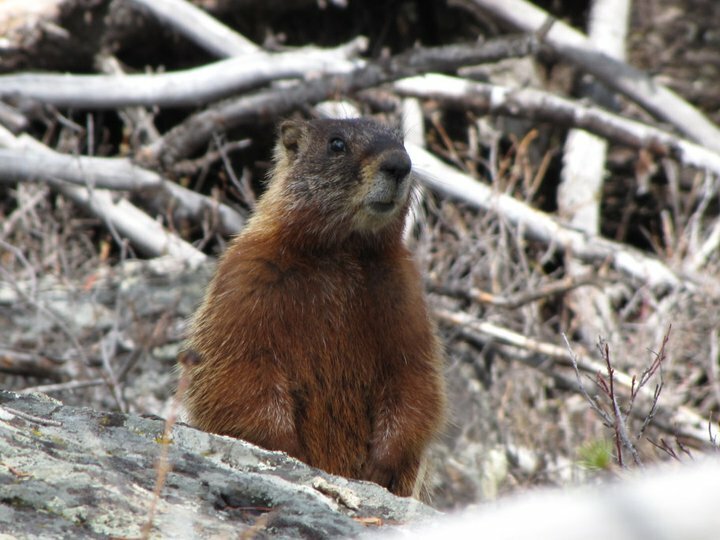 Given that they spend about 80% of their life in a borrow, 60% of which is in hibernation, consider yourself lucky the next time you encounter a chubby, sun-bathing, whistling marmot! But what exactly does permaculture mean? Permaculture is a design philosophy for producing sustainable landscapes and buildings that work as a system and have the diversity, stability, and resilience of natural ecosystems. 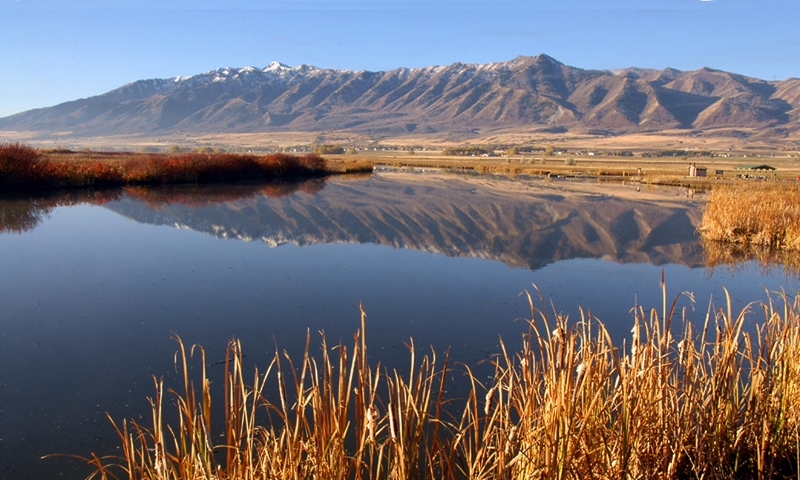 As Utahns lean toward water conservation and self-sufficiency, many are incorporating permaculture into their lifestyles. The first, and most important, principle in permaculture design is “observe and interact.” Watch your landscape during different weather events – in heavy rain, regular rain, high winds, and more. Where do storms come in from? Which way do the high winds normally blow? Which areas receive full sun? Where do you hear consistent noise and do you like or dislike what you hear? How does water flow on your property in a rain event? These observations will serve as the foundation guiding how you will eventually design your landscape. Following “observe and interact” are 11 additional principles, which can be found in most introductory texts about permaculture design, and in USU Extension’s permaculture fact sheet. After making long and slow observations, you may decide you wish to block noise coming in from a certain part of your property, or capture rainwater from your south-facing roof. 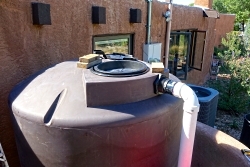 This is where various tools and techniques come into play, such as harvesting rainwater and stacking functions. Rainwater is a clean, free resource that falls on our roof and properties. Are you effectively using this free resource by building basins and swales to better capture and infiltrate water instead of mounds where water would easily runoff? Are you capturing and storing water from your roof for drier periods? Stacking functions is the practice of considering the entire spectrum of benefits various elements (such as plants or structures) on your landscape could provide, and then grouping elements in a way that works as system. A common example includes the Native American “Three Sisters Garden” of corn, beans, and squash. Nitrogen-fixing beans provide a stable, slow-release nitrogen source for the corn, whereas corn provides a pole for the beans to grow. Squash forms a natural ground cover to reduce weeds and retain soil moisture, while the prickly hairs help deter pests. The gardener can reap a higher yield through stacking functions like this. To find out more, search for USU Extension’s permaculture fact sheet.